Air Admittance Valves (AAV) provide an acceptable means for ventilating a plumbing drainage system without venting through the roof or to open atmosphere. 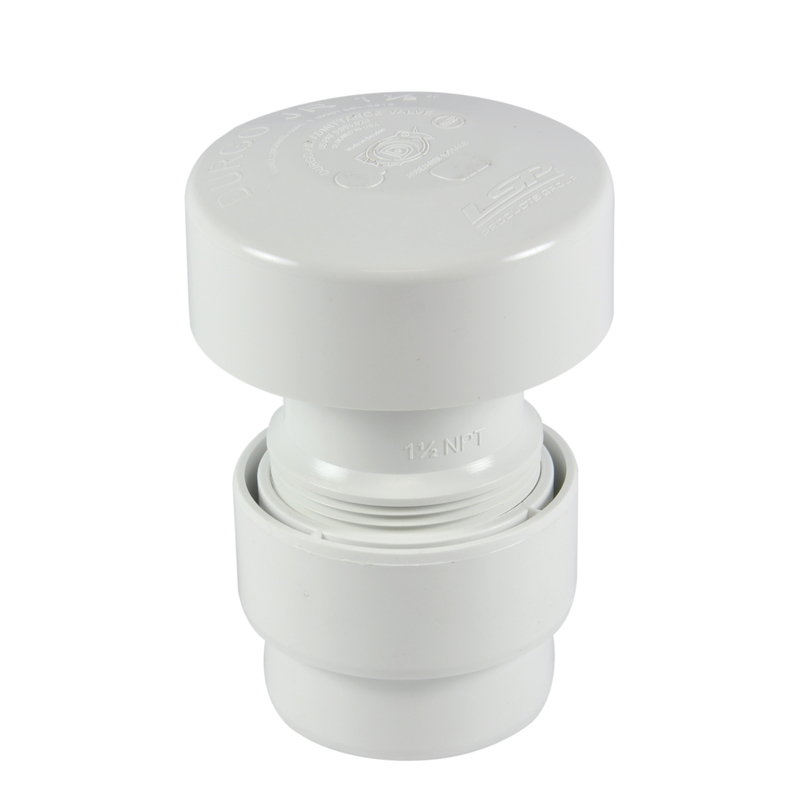 AAVs ensure that no sewer gases or liquids will enter the building through the valve. The AAV closes by gravity, sealing at zero-differential pressure and remains closed under positive internal pressure (back pressure). It opens under negative pressure to allow proper drainage to occur without siphoning of fixture traps. AAVs are offered with adapters in three different sizes to handle all applications.  Junior: Perfect for horizontal runs in residential applications.  Senior: Great for stack or branch systems.  US90 3″: For large or commercial requirements.  Wall Box and Louver offers a recessed clean look for AAVs in visible locations.